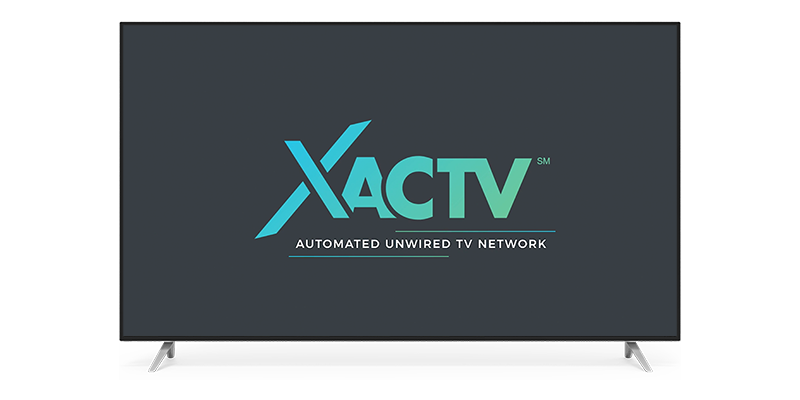 XACTV | A Broadcast Unwired Network Powered by Artificial Intelligence. Efficiently Expand Your National Reach. Our customized approach aggregates local inventory by daypart, audience, genre, or program-specific advertiser requirements; all in a trusted, transparent environment. Our proprietary platform is powered by machine learning technology that accelerates estimating and optimizing; ensuring a balanced national distribution and precise reporting. Ratings are 100% Nielsen guaranteed, with an average client delivery of 103%. Accelerates estimating and optimizing, improves decision-making, and guarantees the delivery. Maximizes efficiencies while ensuring that local spots are allocated proportionally across the representative markets. Advertisers can adjust their creative by market and by region, as well as ensure specific geographies. Customized reporting including an automated online RFP, third party verification, performance validation, and a detailed advertiser dashboard. Pure Nielsen posting methodology. NTI or NSI. Minimum national coverage can be customized based on your target, locations, or product availability. XACTV℠ Automation Aggregates Engaged Local Audiences at Scale. Access Early Morning Inventory on Broadcast to compliment national plan to expand reach and deliver more efficient cost. Utilize Automated Unwired TV network to aggregate local market broadcast inventory achieving national scale. XACTV is a service mark of an affiliate of XACTV and any unauthorized use is expressly prohibited.